Made of 0.5 mm. 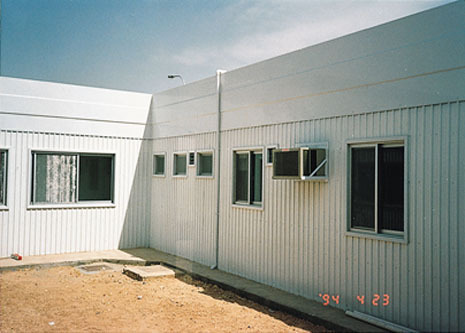 galvanized corrugated sheets fixed on steel tubes 4x4 cms which in turn are fixed trusses made of steel angles 4x4 cms. 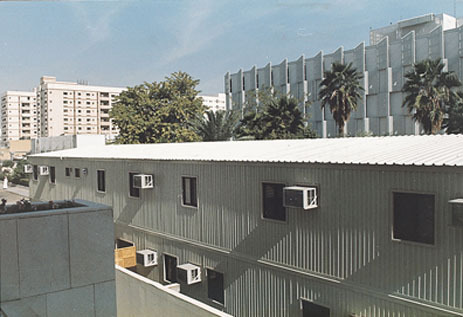 Roof is insulated by 5 cms thick fiberglass. The unit is completely wired internally by appropriate wires laid inside plastic pipes starting from distribution panel to lighting fixtures, receptacles and switches. 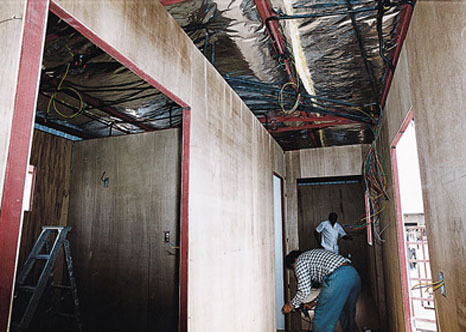 All wiring is concealed in walls and false ceiling.